The path I chose to help a dog, and where it lead me. Bobbie owns and operates Pawsitive Performance which offers dog training, fitness training and trick training around the globe. She was part of the TEAM that contributed knowledge and experience to help design the FitPAWS Master Trainer Program (CCFT II) and is a course "Instructor". for the program. Bobbie completed the University of Tennessee Certified Canine Fitness Trainer program to earn a "CCFT" certification and also completed the certification program for Canine Fitness through the Companion Animal Sciences Institute. 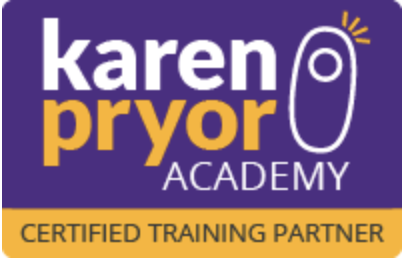 In addition, Bobbie is a Certified Training Partner with the Karen Pryor Academy. 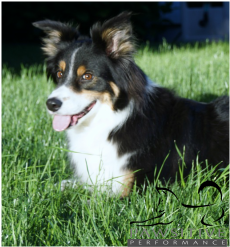 ​Bobbie Lyons, CCFT, KPA CTP, Cert CF has been training her own dogs in agility, herding, tricks and dock diving. Her dog training experience started with training her own dogs in tricks training and agility and eventually teaching classes on foundation agility, focus and impulse control over 14 years ago. In 2005 she started teaching private lessons and workshops educating others on how to properly improve body awareness and strength in their K9 Athlete to prepare for and improve performance. In 2012, Bobbie started teaching web-based K9 Fitness classes. In 2018, Bobbie launched her own online classroom Bobbie Lyons Canine Campus. Her human fitness experience stems from being a gym rat and body building for over 15 years as well as obtaining a Black Belt in Taekwondo. Bobbie got started in K9 Fitness because she has a dog with structural issues that prevented him from fully extending his hind legs when jumping in agility. This structural issue put more stress on his shoulders, spine and pelvis which lends to injury. Because of this issue, Bobbie made it a priority to obtain the knowledge and skill necessary to keep him more comfortable, flexible and stronger so that he could enjoy the sport of agility without pain or discomfort. What she realized along the way was that her dog was not aware of his feet and how to properly distribute his weight, nor did he have the core strength needed to support his poor structure. Bobbie researched every book, video and class that she could find on massage, gait analysis, acupressure, canine rehabilitation and canine sports fitness. She made appointments, quizzed and gained relationships with rehabilitation veterinarians, osteopaths, chiropractors and canine physical therapists. She immediately started implementing exercises suggested by these professionals not just for her structurally challenged dog but her healthy dogs too. After seeing the benefits of improved core strengthen, body awareness, and flexibility training in her own dogs, Bobbie taught her first class on Canine Conditioning in 2005. Teaching strength exercises and working with dogs for over 14 years has given her the experience needed to develop a well-rounded program that anyone can do with a healthy dog. After several years of teaching, Bobbie was able to show her program to Dr. Bianca Shaw of Back on Track Veterinary Rehabilitation Center. 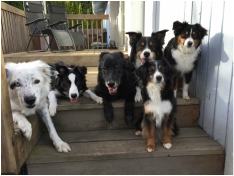 (The leading Rehab Vet in the Portland Metro Area) Bobbie has been teaching canine fitness private lessons and classes inside Back on Track Vet Rehab since 2013. In 2014 Bobbie attended the International Symposium on Veterinary Rehabilitation/Physical Therapy and Sports Medicine. Bobbie has spent several weeks at Veterinary Orthopedics and Sports Medicine Group (VOSM) in Maryland to shadow Doctors Sherman and Debra Canapp during diagnostic ultrasounds, gait analysis, surgery, initial and follow up exams and rehabilitation appointments. Shadowing professionals in the veterinary and rehabilitation field helps Bobbie understand when to refer her clients for veterinary services and allows her an open line of communication with reference to skills specific exercises so that she can get new exercises looked at and approved. Bobbie is always looking for ways to better help her clients, further her knowledge and foster referrals to and from veterinarians. Bobbie works with several assistance dog and diabetic alert dog organization starting puppies at 8 weeks of age and working with them until 2 years old to lay the foundation work for proper movement and muscle engagement for any task asked of them. The program for each dog is adjusted depending on what will be expected of the dog. Bobbie’s Canine Conditioning workshops and classes are held all over the United States, Canada, Mexico and Worldwide. She started teaching online classes in January of 2012. Bobbie's classes fill mostly by referral. Please see the testimonial tab for student and colleague references. Hidden Valley's Tough Act to Follow - "Drama"